Monash, General Sir John, THE AUSTRALIAN VICTORIES IN FRANCE IN 1918. NEW copy, direct from publisher. Hardcover issued without dust jacket. Battery Press, 1993. Photos, drawings, maps, 424 pages. ~~~ The commander of all Australian troops in France describes in detail the operations of the Australian Corps from March 1918 until the end of the War in Nov.1918. Included are the defence against the German spring offensive and the counter offensive towards the German frontier." Pederson, Peter. FROMELLES: FRENCH FLANDERS. NEW copy, trade paperback. (Pen & Sword, 2008). 5.75x8.75. Illustrations. 160 pages. ~~~ The attack at Fromelles is significant for a number of reasons. It was the Australians' first major operation on the Western Front and pitted them against a part of the German line that was an object lesson in the siting of a defence. ~~~ Before the battle, the Australian Gallipoli veterans had airily dismissed the fighting in the new theatre as 'pleasant'. After it, they said grimly that Anzac was 'a picnic' compared to France. Fromelles came as a terrible shock and was a foretaste of things to come. Both the genesis and aftermath of the operation were controversial. The objectives and the tactics employed to achieve them were changed several times and the sufficiency of resources vigorously debated. ~~~ After the war, the British and Australian Official Historians argued as to how the battle should be interpreted. Most of the correspondence that accompanied their exchange of drafts has not been published. It makes interesting reading! ~~~ On a more trivial note, the List Regiment of the 6th Bavarian Reserve Division held the Sugar Loaf on 19/20 July. Numbering among the regimental runners was one Adolf Hitler. Pederson, Peter. HAMEL: SOMME. NEW copy, trade paperback. (Pen & Sword, 2003). 5.5x8.5. Illustrations. 176 pages. ~~~ On 4 July 1918, American and Australian troops captured the village of Hamel and the ridge overlooking it. It was not a big battle: the equivalent of one Australian division and one battalion of newly arrived Americans were the only infantry involved. Although Hamel is not a famous named battle it is noteworthy for an increased level of sophistication . At Hamel machines went a long way towards relieving the infantry of the obligation to fight its way forward. After the battle, Haig's Headquarters promulgated its lessons for other commanders. ~~~ Among the senior officers who visited Monash's Headquarters was Brigadier-General Bernard Montgomery. The military thinker and former Tank Corps officer, Major-General J.F.C. Fuller, thought Hamel more important in making the reputation of the Tank Corps than the battle of Cambrai. Smith, LtCol Neil C., AM MEN OF BEERSHEBA: A History of the 4th Light Horse Regiment, 1914-1919. NF/NF, jacket in mylar protector. First Edition. Signed by Author. (Melbourne: Mostly Unsung Military History, 2993). Maps, photographs, full roster, bibliography, name index, 239 pages. 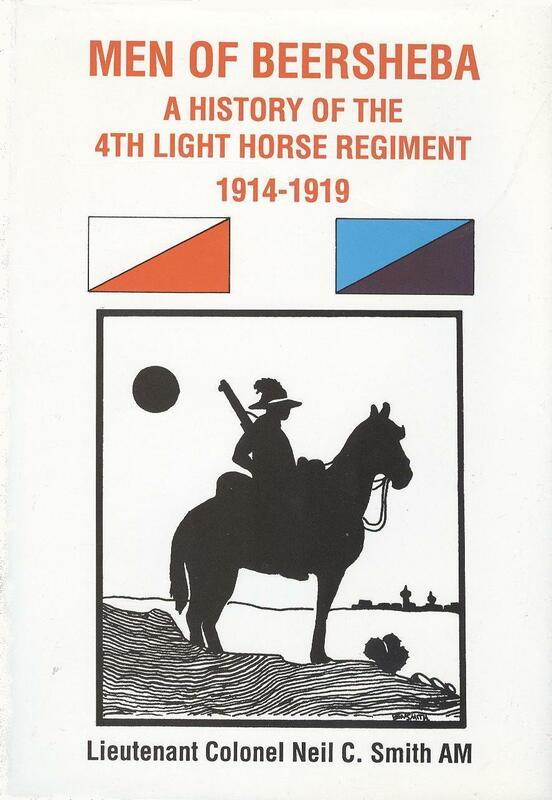 ~~~ The 4th Light Horse Regiment was formed in late 1914 as part of the Australian Imperial Force. Raised in Victoria, the Regiment drew to its ranks the finest men available. Men who fitted the acknowledged characteristics of Light Horseman with outstanding attributes of physique, equestrian abilities and resourcefulness. ~~~ The 4th Light Horse Regiment was formed in late 1914 as part of the Australian Imperial Force. Raised in Victoria the Regiment drew to its ranks the finest men available. Men who fitted the acknowledged characteristics of Light Horseman with outstanding attributes of physique, equestrian abilities and resourcefulness. ~~~ Men of Beersheba follows the progress of the Regiment from Broadmeadows, on to the Middle East and through the bloodshed of the Gallipoli campaign. 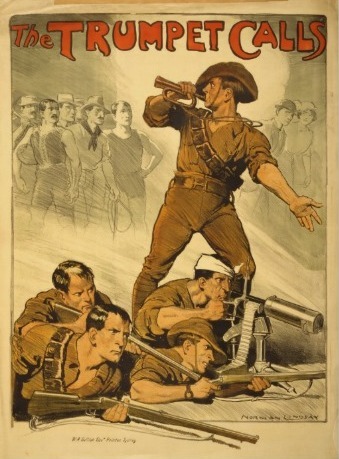 The Regiment then becomes quite unique in that alone is despatched to both the Middle East and Western Fronts, thus making it the only Australian unit to serve on all three Fronts in World War One. 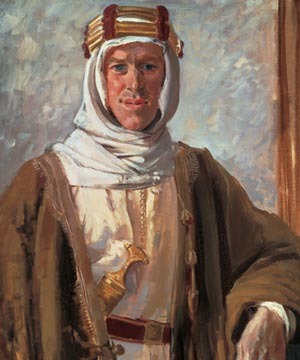 ~~~ The adventures of the 4th Light Horse Regiment are followed on all Fronts whilst maintaining the objective of sifting available evidence for information on those men of the Regiment who were actual 'chargers' during the Sinai-Palestine campaign. Having outlined the progress of the Regiment elsewhere, the capture of Beersheba receives special emphasis, but it is the appended detail of those that served which is most enlightening. ~~~ All known men of the 4th Light Horse Regiment have been researched in an effort to identify Beersheba 'chargers'. Official records rarely captured such detail, and this, together with the paucity of documented evidence compiled by the Light Horsemen themselves, means that only some men can be positively named. However, Men of Beersheba does, by a process of elimination, identify those who could have charged and provides a brief picture of all who served. Thus Men of Beersheba takes a step towards immortalizing further the men of an outstanding Regiment which has already secured a place in the vanguard of Australia's heritage and folklore. Williams, HR. 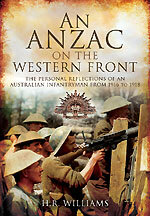 AN ANZAC ON THE WESTERN FRONT: The Personal Recollections of an Australian Infantryman from 1916 to 1918. NEW copy, trade paperback. (Pen & Sword, 2012). 6x9, 30 b&w images. 208 pages. 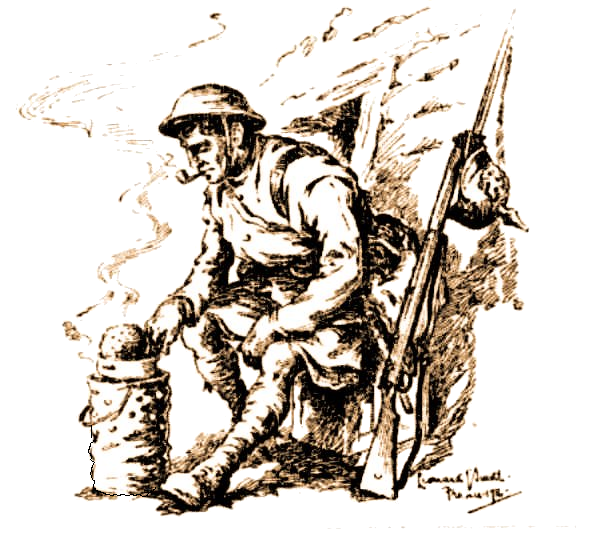 ~~~ This is a graphic account of one soldier�s service in the First World War � an account that is based on a diary he maintained whilst on active service. It has been described by one senior officer as �the best soldier�s story I have yet read in Australia�. H.R. Williams enlisted in 1915, joining �A� Company, 56th Battalion AIF. With this unit he would see service in Egypt and then the Western Front � participating in some of the biggest battles of the First World War. ~~~ Arriving in France on 30 June 1916, the battalion entered the front line trenches for the first time on 12 July and fought its first major battle at Fromelles a week later. The battle was a disaster, resulting in heavy casualties across the division. Despite these losses the 5th Division continued to man the front in the Fromelles sector for a further two months. ~~~ After a freezing winter manning trenches in the Somme Valley, in early 1917 the 56th Battalion participated in the advance that followed the German retreat to the Hindenburg Line. It was spared the assault but did, however, defend gains made during the second battle of Bullecourt. Later in the year, the AIF�s focus of operations switched to the Ypres sector in Belgium. The 56th�s major battle here was at Polygon Wood on 26 September. ~~~ With the collapse of Russia in October 1917, a major German offensive on the Western Front was expected in early 1918. This came in late March and the 5th Division moved to defend the sector around Corbie. ~~~ Once the German offensive had been defeated, the Allies launched their own offensive in August 1918. he 56th fought its last major battle of the war, St. Quentin Canal, between 29 September and 2 October 1918. It was resting out of the line when the Armistice was declared on 11 November.